The Upside Down Transfer Option can help students with a technical associate degree complete an Evergreen bachelor degree in just two years. Your technical associate degree from a regionally accredited Washington community or technical college may qualify for 90 lower-division transfer credits after completing the Upside Down Transfer Option process. Students earning technical associate degrees (AAS, ATA, AAT, or AAS-T) complete focused, skill-based work in their first two years of college. At Evergreen, students spend their first two years of college taking broad, interdisciplinary programs, that explore a variety of academic subject areas. Students who qualify for the Upside Down Transfer Option are required to take 32 credits at Evergreen in an interdisciplinary program which is unrelated to their technical degree. This ensures that students with a technical background experience at least 32 credits of broad, liberal arts course work. This is why this transfer option is called, "upside down." Earn a technical associate degree from a regionally accredited Washington community or technical college. Eligible degrees include: AAS, ATA, AAT, or AAS-T degrees. Complete ENGL&101 with a GPA of 2.0 or higher. Complete a minimum of 20 academic, quarter hours of college-level credits with a GPA of 2.0 or higher in each course. No more than 10 credits earned in the same subject area can count toward the 20 credit minimum. Have a cumulative, college-level GPA of 2.5 or higher. Final official transcripts must show completion of all four requirements to qualify. All requirements must be satisfied prior to enrollment at Evergreen and cannot be met by credit duplicated through the reverse transfer process, Credit by Examination such as CLEP, or credit through Prior Learning A​s​s​e​s​s​men​t​ (PLE). Stage One - Students will receive an initial course-by-course transfer credit award that will also include an offer to participate in the Upside Down Transfer Option. Stage Two - Only after completing the 32 credits at Evergreen, will students qualify to have their initial course-by-course transfer credit award exchanged for a block of 90 lower-division transfer credits. Sign and return the Upside Down eligibility form to the Office of Admissions within 30 days of receiving the offer. 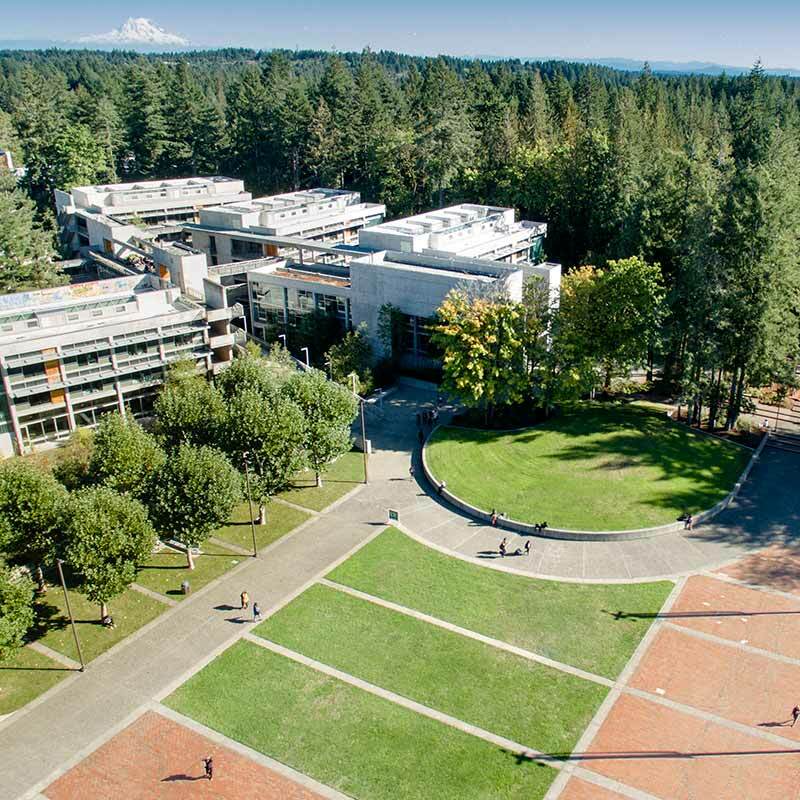 Contact Academic and Career Advising to develop an educational plan to register for 32 Evergreen credits that are unrelated to their technical associate's degree. After completing the 32 Evergreen credits, return to Academic and Career Advising to confirm completion of the required credits. Academic and Career Advising will notify the Office of Admissions of completion. Once notified, the Office of Admissions will then exchange the initial course-by-course transfer credit award with a block of 90 lower-division transfer credits and send a revised transfer credit award letter to the student.